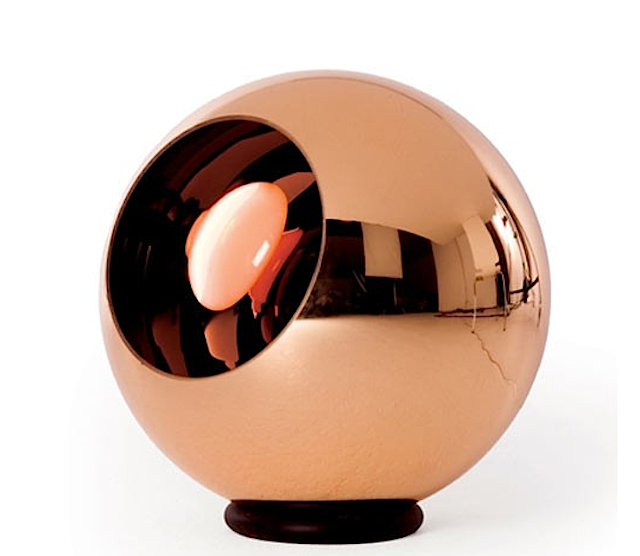 All that glitters is rose gold in many designer showrooms and furniture shops these days. First trending majorly in jewelry and watches, rose gold has now swapped over to anything from faucets to tables. Rose gold can look both old world and elegant and super modern and unfussy. Check out these possibilities. 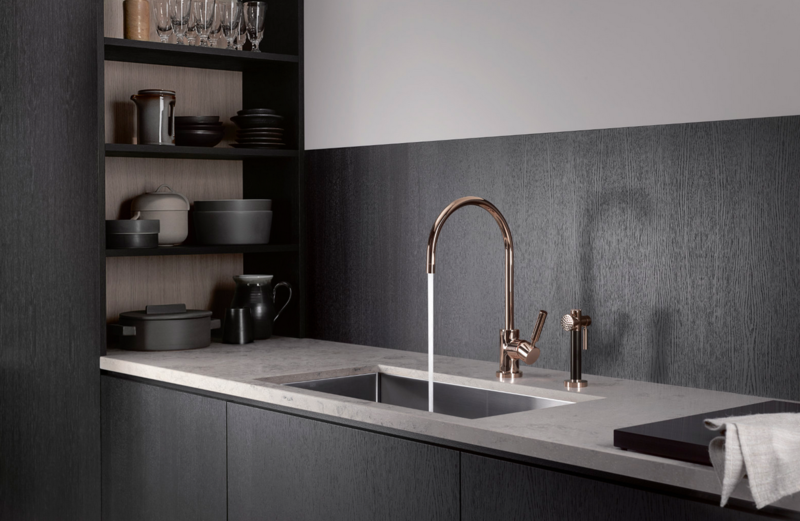 According to German brand Dornbracht, which has been innovating bathroom and kitchen concepts since 1950, the days of “cool white” plus metal are over. Instead, warm, earthy notes are de rigueur. The rose gold kitchen fixtures from their Cyprum series are elegant and warm, made from 18-carat gold and copper. We can picture them in urban lofts as much as modern classic spaces. 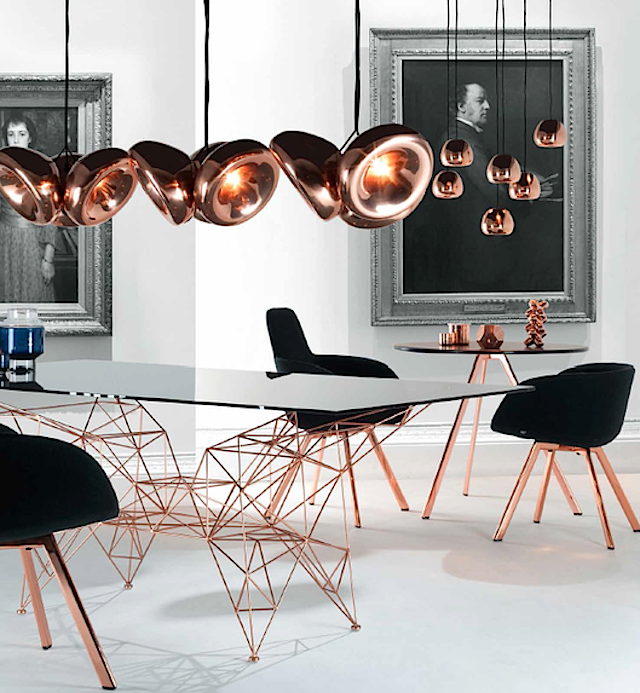 Rose gold also looks unexpected and glam yet still architecturally sleek in coffee tables, side tables and dining chairs. Being metal, the color is more versatile than if it were just rose. 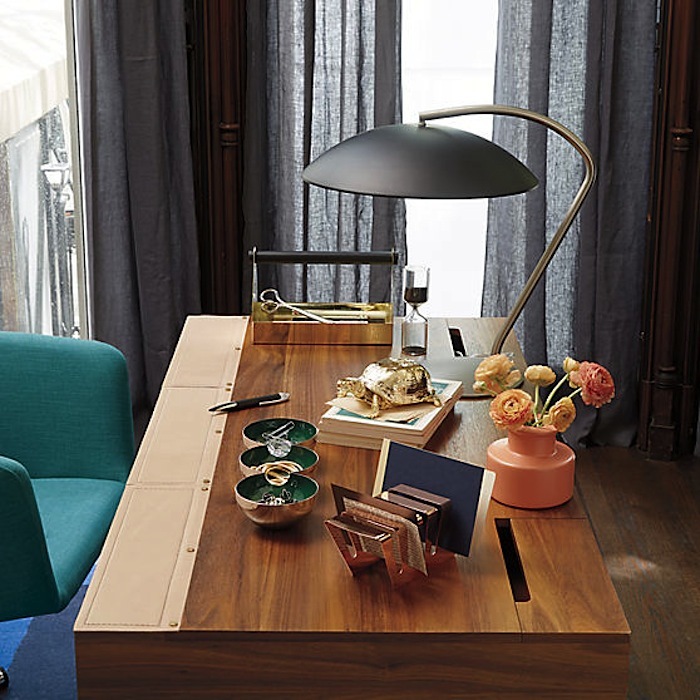 It really works well when applied minimally with just one statement piece. After all, most people don’t want to go for bling. The warm metal hue movement is also evident in lighting design such as this mid-century-modern-inspired pendant lamp or rosy Copper Shade Floor Lamp. Rose gold looks super luxe in combination with black accents like on these serving carts and bar carts. You can add some matchy-matchy Moscow Mule mugs. If a larger piece in rose gold is too much of a commitment, consider a small object like a letter holder for your fan mail.